Having been bitten by several canines as a child, my first thought when I hear the word ‘wolf’ is to run. But up in the Alladale Wilderness Reserve in northern Scotland, they are aiming to reintroduce these critters as part of a project to return the land to its natural state of wilderness. Sure, these are the Highlands, a wild and rugged place – but wolves? And for that matter, bears? In charge of the project is Paul Lister, Laird of Alladale, who bought the estate in 2003 and almost immediately started to draw together his grand rewilding plan. He has been called many names – McSerengeti, Wolfman, Mr Jurassic Park amongst them – but Lister remains resolute in his views and, a decade on, it appears that he might actually be getting somewhere. I’m early when I get to Inverness airport so I decide to wander into the city. It gives me a chance to sample this ancient and historic home of the Highlanders. Driving in I see a sign for Culloden Moor, site of the last ever battle fought on British soil in 1746, when Bonnie Prince Charlie – armed with his band of Highlanders – sought to beat down the Hanoverian army and reinstate his Stuart line onto the throne. It is a romantic example of the character of this area and I start to dream of a place full of wild men in kilts battling to the death. This image is only confirmed by a redbrick castle sitting proudly atop a hill in Inverness, its turrets imperiously positioned against attack. Unfortunately, when I get in closer, I realise that not everyone looks like Christopher Lambert in the movie Highlander here. 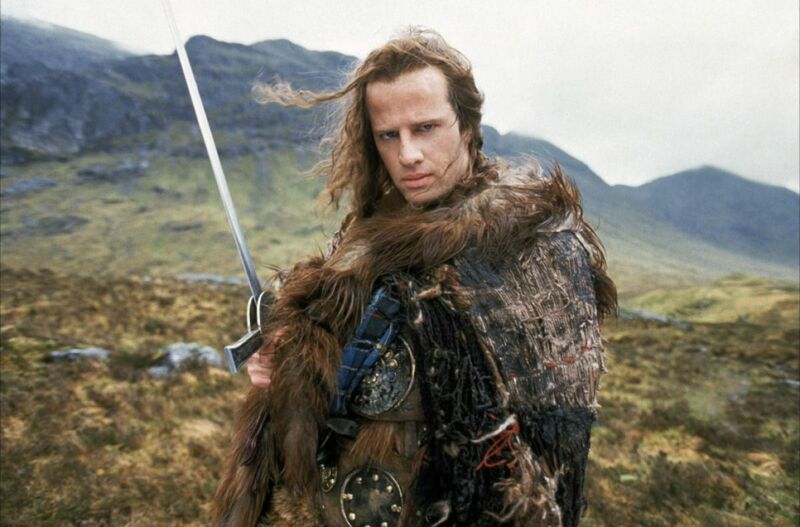 In fact, nobody looks like Christopher Lambert. Inverness is a pretty place with its indoor market and lovely cathedral. But there’s no sign of a martial past. The ‘castle’ was actually built in the 19th century on the remains of a proper castle, but has only ever been used as a sheriff’s courthouse and county hall. I do see an elderly lady battling a seagull at a bus stop. And there are plenty of the discarded carcasses of McDonald’s Happy Meals strewn across the ground. But the modern city is much more cooling to the senses. It is on the drive north out of Inverness that the countryside starts to get really wild. Lush, pine-covered hills appear on the horizon. Glassy lochs glint under steep, mossy Munros. The soil itself is black. Indeed, this patch of land is called the Black Isle peninsula for the dark, nutrient-rich colour of the earth and it is striking. But it’s also famous for other things. I am not being rude when I say that Scotland and booze go hand-in-hand. And the first stop on the trip, therefore, is the Black Isle Brewery. The brewery was started by one man looking into a well but has grown into one of the foremost organic beer producers this side of the border. They have 12 different varieties – from the palate-tinglingly crisp blonde to the steam-in-ear producing 10% oatmeal stout, fermented in barrels of Glenmorangie. And the entire operation is manned by just four staff and an association of woofers. Somewhat tired and emotional after this stop-off, I climb back into the four-wheeler and close my eyes for the rest of the hour-long journey to the estate. The approach to Alladale is quite sudden, and I wake to find myself being loomed over by a gothic Victorian lodge which sits on a hill in the middle of 23,000 acres of land stretching further than the eye can see. There are seven bedrooms inside, as well as a large dining room, a billiards room and various stuffed bears and portraits beaming down at you. All in all it could be the setting for a Miss Marple murder mystery. But there is nature here too. They have planted 900,000 trees here in the last ten years, all local varieties including Scots pine, rowan, willow and juniper. Most of these will take a lifetime to grow, but to see the small sprouts that have emerged so far gives you both hope and excitement. The next challenge they have is wildlife. Current Alladale wildlife includes red squirrels, pine martens, golden eagles, buzzards, owls, pheasants and Scottish wildcats. The project has also seen elk, wild boar and bison pass through, though only temporarily as each one presents problems – boars, for one, become too reliant on humans to feed them while bison are just too vicious to control. Deer, meanwhile, are present in abundance. There are 1,000-plus on the estate, rambling over the land and gnawing away at the vegetation. They really are plentiful. Unfortunately a little too plentiful, because excess of deer means destruction of vegetation. Not only have they had to build fences to keep the deer away from trees, they also have to have an annual cull in the autumn when the whiff of buckshot and blasted ruminant spreads through the valley. While it sounds like Bambi versus Elmer Fudd, without the cull the population would expand far too quickly leading to a shortage of food and eventual deer-icide. Of course, things might be easier if there was a natural apex predator to manage the deer – and this is where wolves and bears should come in. So what chance the centrefold animals? The fact it took six years to get the red squirrel into Alladale is a pretty morose indicator. Unfortunately, plans to rewild the land with the apex predators have been stunted by councillors with less vision than Mr Magoo. There is, it seems, a real spirit-crushing preoccupation with health and safety in this country. But Lister is determined to try. Over the next 12 months Alladale will be engaging in stakeholder meetings to officially discuss its wider vision for The European Nature Trust in Scotland. The plan – eventually – is to have a fenced-off segment of 50,000 acres and introduce two wolf packs into the area. The project would turn Alladale into an eco-tourism destination and create employment and a more natural balance to the ecology. There are arguments against, obviously. Farmers are wary for their cattle and ramblers are concerned that they would be denied access to grounds by fenced-off sections or they might be ripped a new one by a wolf. So things remain uncertain right now – yet the planners are working harder than ever at it. But back to the trip. Our chef while we’re here is Tom, whose cooking uses the fruits of the land: delicate venison, salmon, kippers and locally grown vegetables, all washed down with plenty of local drink. After a hearty evening meal and a little whisky, I settle cosily to bed, albeit with a vague recollection of setting fire to the billiards room. Happily, when I wake the next morning, I realise it was just a dream and I’m soon bounding through orange and purple heather, examining saplings which look so young and have so much further to grow. It’s during this jaunt that I have a magical moment, when I see, soaring through the sky, a pair of golden eagles. It’s a glorious spot and makes me happy for the future of this place. On the way back to Inverness we go via the coast where we stop at Golspie Mill, an old flour mill that’s been operating the same way since 1863 and is now run by Michael, a salt-of-the-earth Kiwi, who initially shocks me when he appears in the doorway covered head-to-toe in white powder. We also visit Dornoch where Madonna got married and take the tasting menu at the 500-year old Dornoch Castle whisky bar. This, I have to say, is something else. There is gin with cold soup to wash your palate. Gin with salmon to rewash your palate. Whisky with venison. Sherry with sticky toffee pudding. Whisky with…something else. An hour later I think a small Scottish nuclear bomb has exploded in my mouth. Once more tired and emotional, I climb into the car and sleep the rest of the hour to Inverness airport. Whether you want to leave your devices behind, whether you have a hankering for wilderness and wildlife, whether you want to sample a deer shoot or drink fine whisky in fresh Highland air – this is a place far from the claws of the urban world. Sure, the conservation project maybe fanciful. Who knows where the world will be by the time the trees have grown and the wolves roam. But what is life without fancy?